EU leaders are expected, at the summit in Brussels this week, to ask their environment ministers and the European Commission to assess what the Paris Agreement means for the EU's climate targets for 2030. Last Saturday (12 December), the EU and 195 countries adopted an unprecedented global treaty which aims at keeping the earth's warming to “well below” two degrees Celsius compared to pre-industrial levels, and "to pursue efforts" to limit it to 1.5 degrees. EU leaders will meet in Brussels on Thursday and Friday. In that “framework”, adopted in October 2014, EU leaders decided they would reduce its greenhouse gas emissions by “at least” 40 percent by 2030, compared to 1990. They also set a 27 percent renewable energy target, and an “indicative” target of “at least 27 percent” more efficient energy use. The idea was that if the Paris talks failed to produce a legally binding outcome, like the conference in Copenhagen in 2009 did, the EU would not increase its climate ambition, to prevent losing a competitive edge. Now that virtually all the world's countries are on board with the Paris agreement, that argument that the EU is going it alone is no longer valid, two Dutch MEPs said in Paris Saturday. In fact, EU ambition could now be raised, they argued. Gerben-Jan Gerbrandy, of the centrist wing of the Liberal group, and Bas Eickhout, of the left-wing Greens, were standing at the EU's pavillion (a sort of headquarters) at the Paris climate conference around 1PM on Saturday. It was just over an hour since French foreign minister Laurent Fabius pleaded to his peers to adopt the final draft of the Paris Agreement. 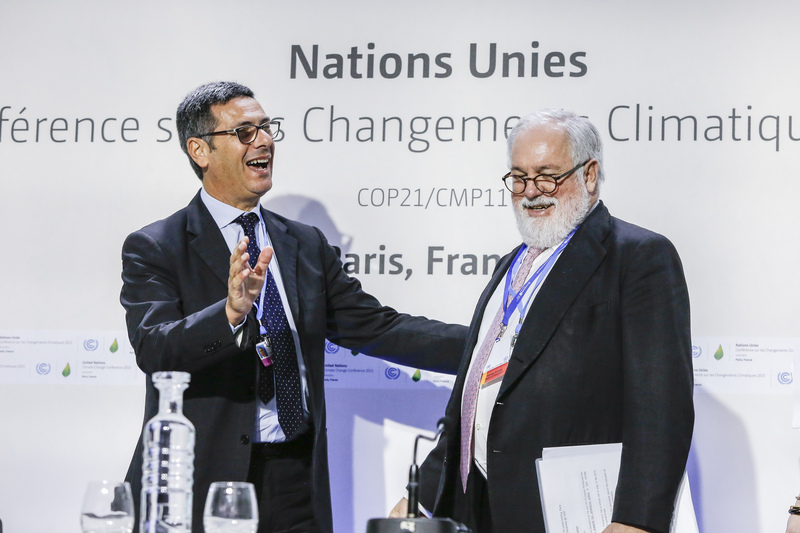 A jolly Miguel Arias Canete, EU climate commissioner, asked Eickhout if he had seen the draft text yet. “The Greens always have the text first,” Canete said jokingly. “I don't have it,” Eickhout replied. The exchange showed the spirit was good - even though the agreement had yet to be formally adopted - and that for a moment all Europeans were on the same side. 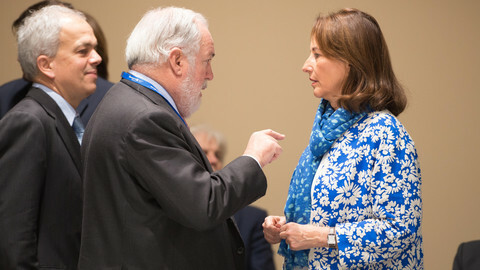 “Canete has delivered excellent work,” said Eickhout, who despite criticising Canete over the past year on content, conceded he was “in his element” as the EU's climate negotiator. But while Eickhout and Gerbrandy praised Canete that Saturday, they also said they would be back criticising the European Commission for what they see as a lack of ambition, on Monday. “The real work now has to be done in Europe”, said Eickhout, adding that he thought a proposal to reform the EU's emission trading scheme (ETS) was "weak" and that the parliament is waiting for a legislative proposal on sectors that are not yet covered in the ETS. Gerbrandy added that the commission should see the Council's October 2014 conclusions “as an opening bid”, and that it could go further. 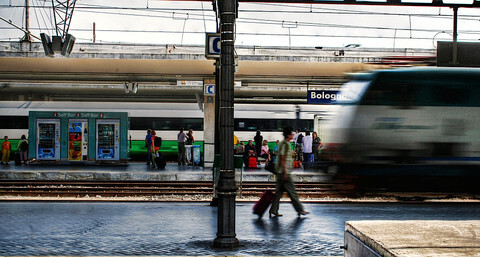 But Canete on Monday (14 December) appeared to be not yet planning to do so. 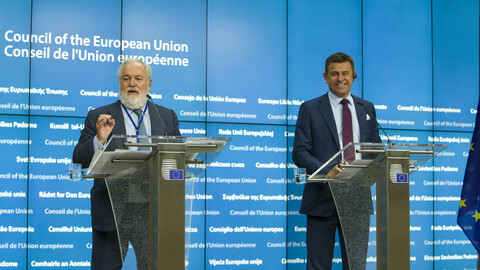 At a press conference in Brussels, the Spanish commissioner reminded journalists that the Paris Agreement will not enter into force before 2021, and that implementing currently scheduled legislation “will take us [through] 2016, '17 and '18”. “In 2020, we can come along with more ambition. It will be for the next commission to lead this process. I am a humble commissioner, who is going to deliver the legislation to fulfil actual [current] commitments,” Canete told journalists. As for the Paris Agreement itself, this will be officially signed on 22 April 2016, in the Netherlands, which will then have the six-month rotating presidency. Will Paris climate accord change the world? 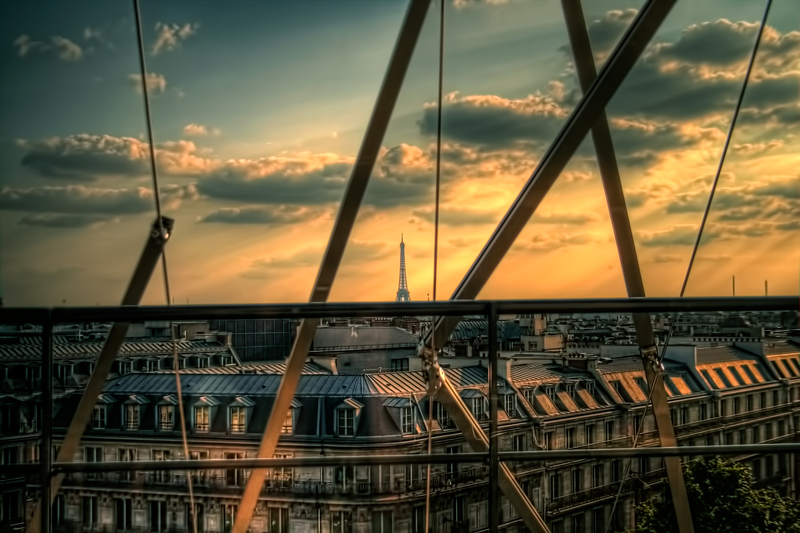 Will spirit of 'Paris' return to EU climate debate? 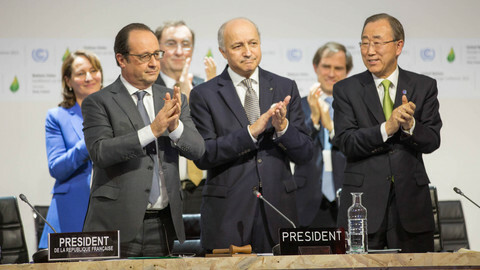 Deal cements new bottom-up approach which involves pledges by every UN state to reduce greenhouse emissions, as well as a review mechanism to jack up ambition every five years. The Paris climate accord might not change the world. But the collective, political moment can empower an economic revolution if business and science reacts. EU ministers will discuss on Friday an EU Commission paper which was criticised by NGOs for not containing new climate measures. EU states have agreed to fast-track ratification of the Paris climate change agreement, leaving thorny details for later. 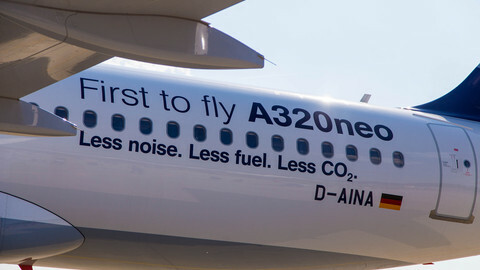 If the legislative proposal is not adopted by April 2018 airline companies will be forced to pay into the EU's Emissions Trading System.